Simon Baker (if he gets divorced...), rent Something New-such a romantic, cute movie (and he looks way hotter than he did in The Devil Wears Prada)! 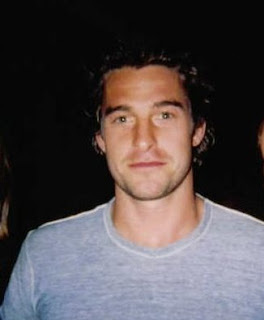 Very nice, very nice... Scott Speedman looks way hotter when you met him than I've ever seen him! I guess Josh Duhamel is at the top of my list, if he'd just get rid of Fergie..
You know Simon Baker is in a new show called the Mentalist on Monday nights I believe, I (heart) him too. Although I think last I read his wife Jennifer Esposito divorced him.....back on the market! I forgot to add Patrick Dempsey, not the Can't Buy Me Love (I'm not that much of a fan) he first got my attention in some mini-series he did related to the Kennedy's. Of course, Sweet Home Alabama, YUM! 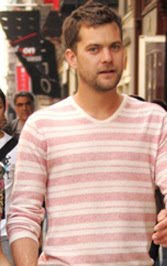 Joshua Jackson is on MY list too!!! and thank you for sparing the blog-world that picture of me as well. 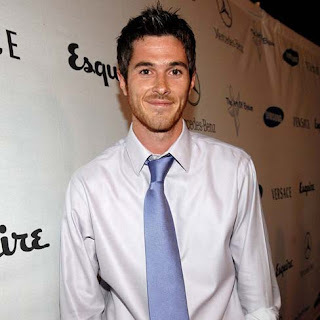 2)did katy email you about dave annable or did you just decide on him? the other night when we were watching B&S she proclaimed that he should be your #5. 3) it was bradley cooper who was married to jennifer esposito right? 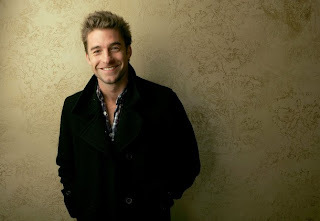 i have a huge thing for scott speedman, too. i also love robert downey, jr., ben affleck. but jake gyllenhall is my number 1!!! George Clooney is definitely my #1! Also, John Krasinski, Kirk Herbstreit, and definitely Josh Jackson. :) Scott Speedman is a good one too! And Maks from Dancing With The Stars. I mean really, my list could go on and on and on!!!! VERY NICE to see in the morning. I LOVE your list! Like I love 2,4,5,7,8 and 9. Hahah. Totally made my morning! Those are my definites. My runners up would include: Josh Duhamel, Joshua Jackson and John Mayer. Oh me oh my....Matt Damon is def up there for me too! As is Brian Greenberg. I was so sad when october Road was canned- I loved that show. Seriously though...I think I watch too much TV! Happy Friday! TOO CUTE! The only man for me is Skipp but your picks are very very handsome!!!!!! Love Dave Annabele for sure! like the one you presented. Ryan-I love me some Noah. Wow! I didn't know that Joshua Jackson was arrested! He's definitely on my fav list. Fringe is my new #1 show =) For my list, Ben Affleck of course, and Jensen Ackles of Supernatural. Great list! Love Scott Speedman and Joshua Jackson too! mariana- yes you are correct, I was wrong about who Simon Barker is married to, oops! Still married to Rebecca Riggs? I love this idea :) Can't wait to make my list! Scott Speedman is a cutie, and I just adore Dave Annable. I like Ryan Gossling too. He seems so down to earth, guy next door.